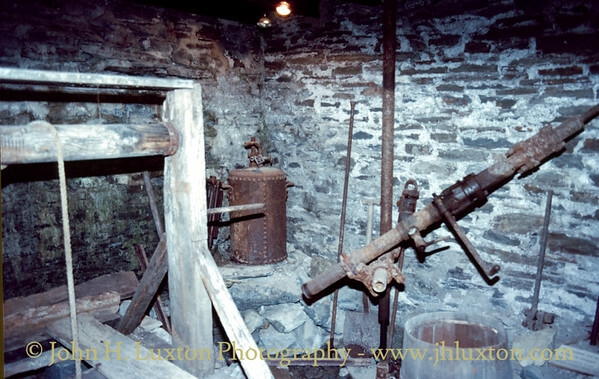 Llywernog Silver Lead Mine and Mining Museum is located close to the A44 road. Known locally as Gwaith Poole. 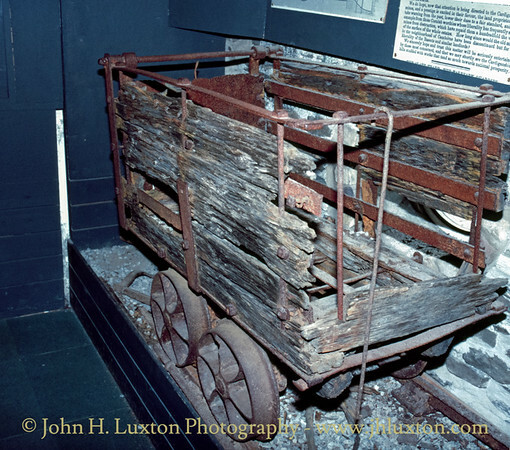 (Poole’s Minework), the original discovery of the mineral vein was made around the year 1742, during the reign of George III. 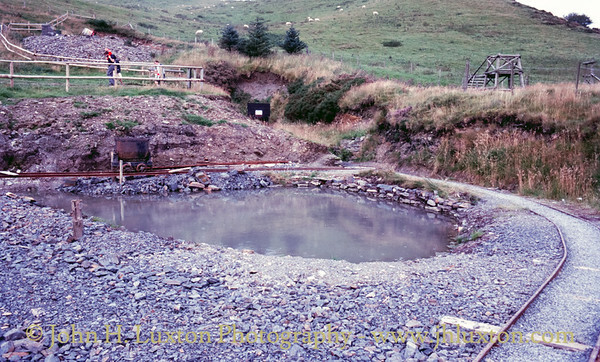 By 1790, two ‘adits’ or levels were being blasted into the hillside using techniques of hand-drilling and gunpowder charges. Both of those original tunnels are now accessible to visitors. 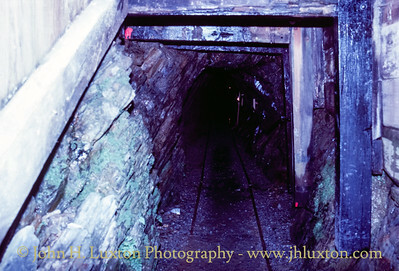 One tunnel struck the ‘Main Lode’ of silver-lead ore (technically known as (‘Argentiferous Galena’) at a depth of 17m below the surface outcrop and a productive period of activity began. The other adit, driven further to the east was a disappointment, and cut only a minor lode with little or no ore visible. 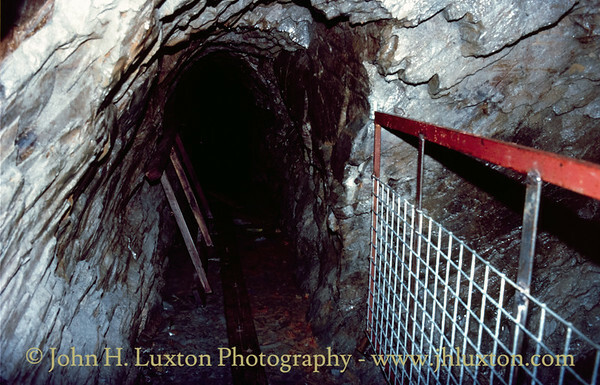 This tunnel now forms part of the ‘Miners Trail’ and is known as ‘Balcombe’s level’, named after James Barton Balcombe, Managing Director of the Llywernog Silver-Lead Mining Company in 1870. 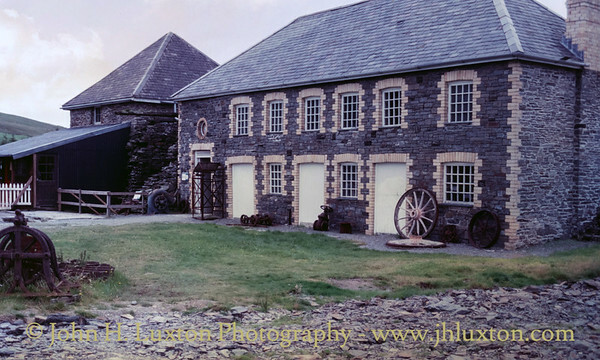 Between 1824 and 1834, Llywernog Mine was leased (along with many others in the district) to Cornish ‘Mine Adventurers’, the Williams family of Scorrier House, Gwennap, near Redruth in Cornwall. 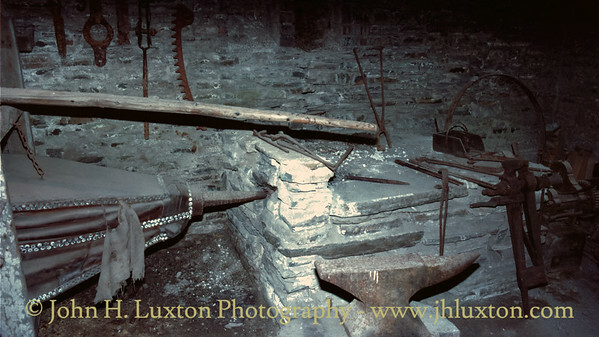 This was the start of a long association between the Mining Districts of Cardiganshire and Cornwall that was to continue until the 1900s. 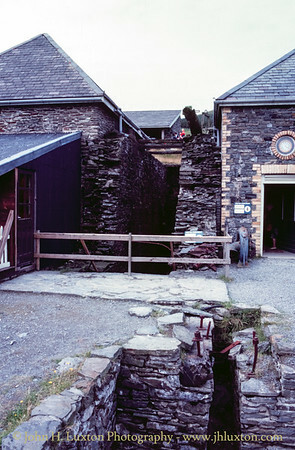 In the 1900s Llywernog Mine saw a little renewed mining activity as a Scottish Company pumped out the flooded tunnels and went prospecting for ‘Black Jack’ or zinc ore. By 1910, this venture was finished and the giant waterwheel gently rotted. 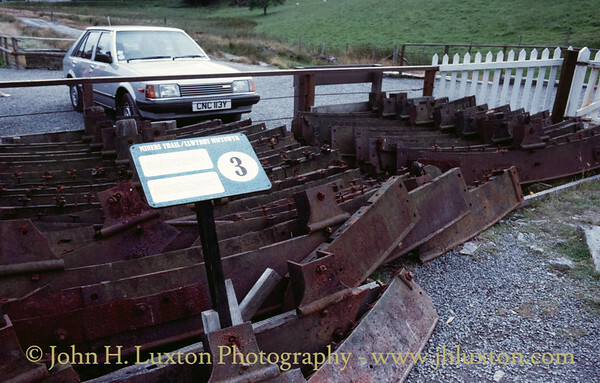 In 1953, this monument to the mining engineers of yesteryear was blown up for scrap iron and a famous landmark was gone, seemingly forever. 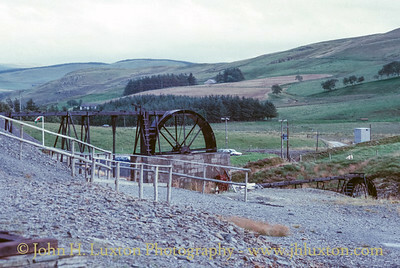 During the early 1970s restoration of the site began the developed by a young mining historian Peter Lloyd Harvey, and his father, the late Dr Stephen Harvey. In 2012 the museum was reinvented as the “Silver Mountain Experience” and now trades as a more general tourist attraction. 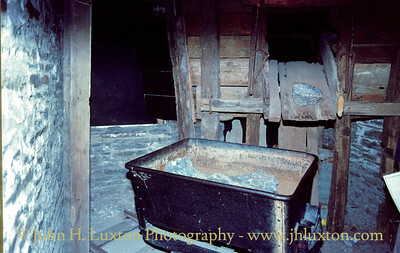 These photographs shows the site when it was a pure mining museum. 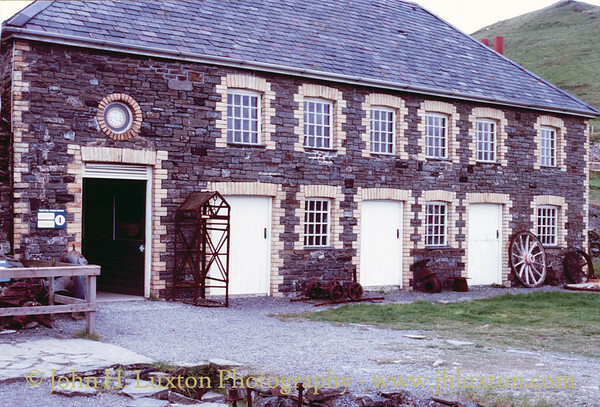 Main buildings and entrace to Llywernog Silver Lead Mine Museum. Waterwheek Pit adjacent to the crusher house (left) and mine office - right. 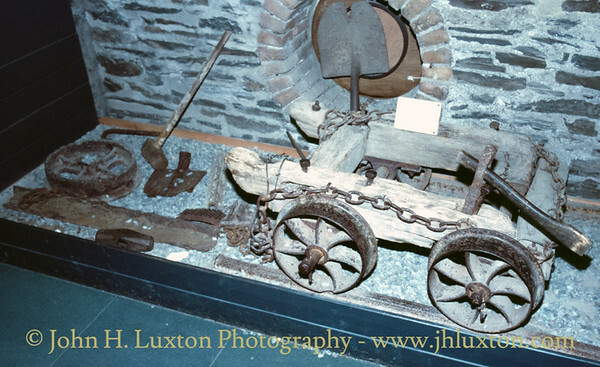 Components of the waterwheel. 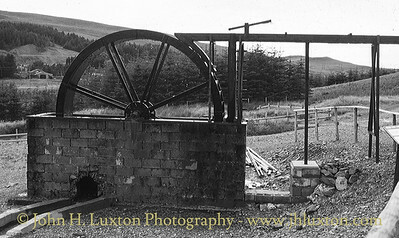 This is believed to have been moved to the Isle of Man and erected as the "Lady Evelyn" at Laxey Valley Gardens. Reconstruction of shaft with kibble. 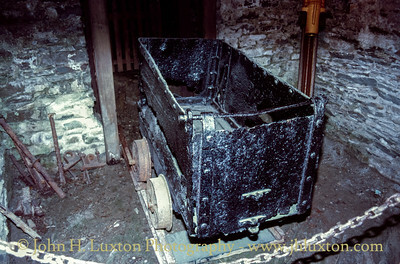 Correspondence from the Lisburne Mines Group owners of the Llywernog Mine. 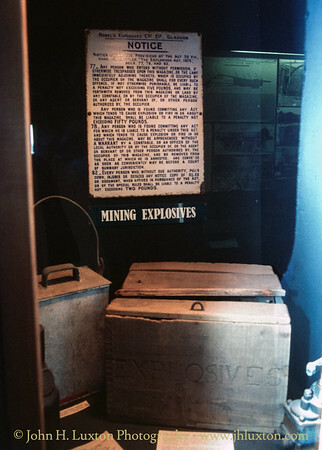 Display in the museum about mine explosives featuring explosive storage boxes and handling rules. 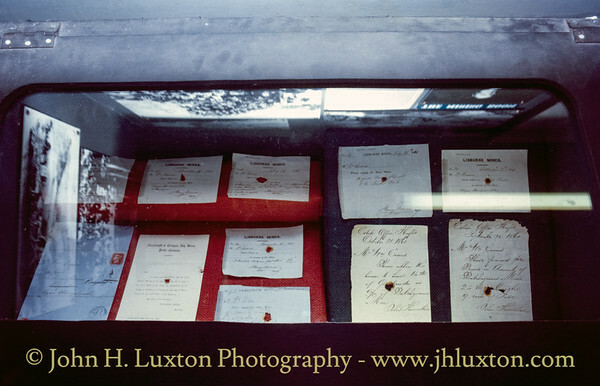 Display of artefacts in the museum - the circular opening is the clock seen on the outside of the mine office building. 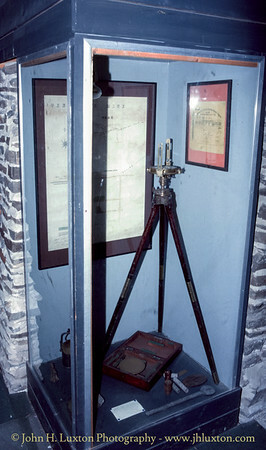 Mine surveying equipment display in the museum. Tramlines lead around to the entrance to Balcombe's Level. 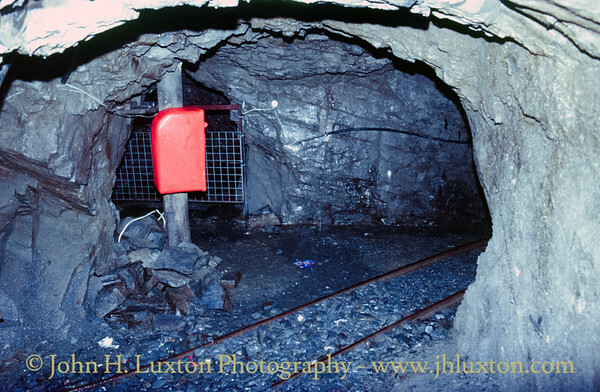 View along Balcome's Level into the mine. 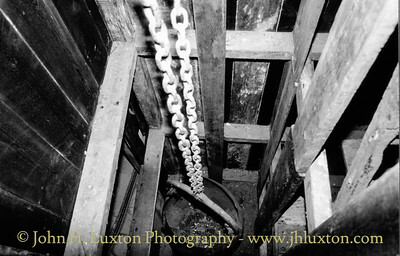 Underground post box for tourist post cards in Balcombe's Level.